How well do you know Jessi Hood? Is she someone whom you see in the hallway but don’t make eye contact? Or is she a close classmate whom you can ask for homework help? Either way, you may not know that she manages her own book blog. In her blog, Jessi writes reviews on books that she has read and gives them star ratings. At first, she saw it as something to do in her free time. As her blog attracted more readers, it became one of her main activities. Jessi has maintained the blog throughout high school and plans to continue after she graduates. This book blogger explained that a goal was to talk with other people who shared the same interest. However, that goal was harder to accomplish at first because her blog didn’t attract many people. Yet now, it has grown in popularity, being noticed by other bloggers and even publishing companies. “I realized that publishing was something I wanted to do probably about a year ago when I started following more people who work in that industry,” Jessi mentioned. She has also recently applied to be a board member of teenreads.com. 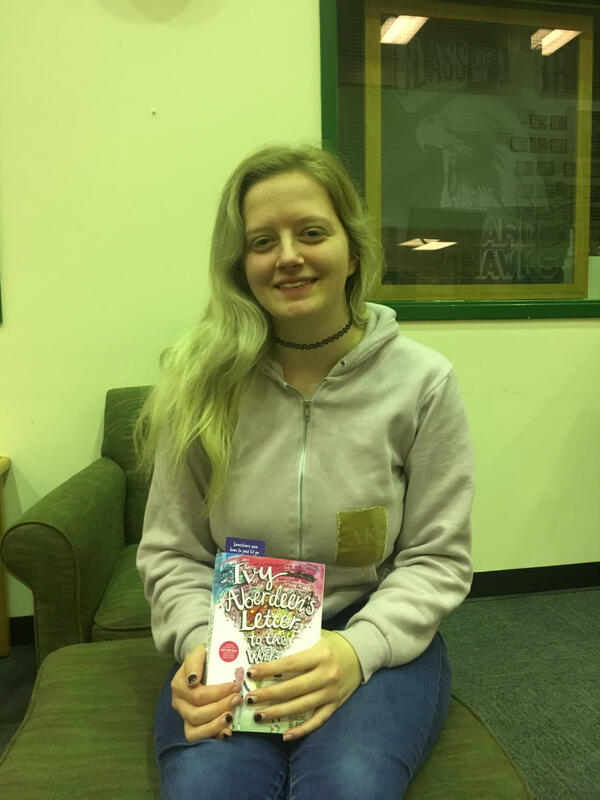 By doing this, it will give her more “opportunities to review books.” Not only that, but Entangled Teen Publishing offered to send her novels, before they are released, to read and review on her blog to create a “buzz” about the books. Jessi is an aspiring young adult ready to conquer the vast book world. Not only will she continue her fascinating blog, but potentially get contacted by another publishing company. If you’d like to know more about Jessi’s blog, or are inspired to start your own, feel free to talk to Jessi by reaching out to her social media pages: “@bibliojessi” on instagram, twitter, youtube, and goodreads. Jessi’s blog is called “bibliojessi – read, sleep, read, repeat.” Check it out! wow this is a really great article and i never knew that about jessi!